Jeff answered the phone, he came out the very next day to give us an estimate. He was very informative and it was totally not a high pressure meeting - he wanted what was best for us. He brought samples of the various types of artificial grass and walked us through the process. We asked if we could actually visit somewhere he had installed and that was arranged too. The crew were very hardworking and cleaned up behind themselves. We are overjoyed with the transformation of our backyard from a barren 'waste land' where low rainfall followed by downpours left it bleak and uninviting. Our dogs play and no-one gets muddy! This is a great company! The Owner Jeff is a wonderful guy and has loads of expierence in his field! I would recommend this company to anyone looking to have their ideas become reality! They are perfectionist and take their time get the job done efficiently and effectively! In 2 short years our Zoysia sodded lawn turned into a desert. Dust was everywhere when the dogs played with a ball (the ball itself was black from all the dirt that clung to it). So the first great decision was to get artificial grass installed. The second great decision was to have TURF PRO install it. Jeff is a man of his word. He started the job when promised. In the evening things were tidied up and when the job was complete the driveway (where the base material was stored), the grass in front and the pavers surrounding the new grass were clean and you couldn't tell that anything was different except for that fantastic new green lawn area. If our dogs could talk they probably would want to tell us that we should have done this years ago. 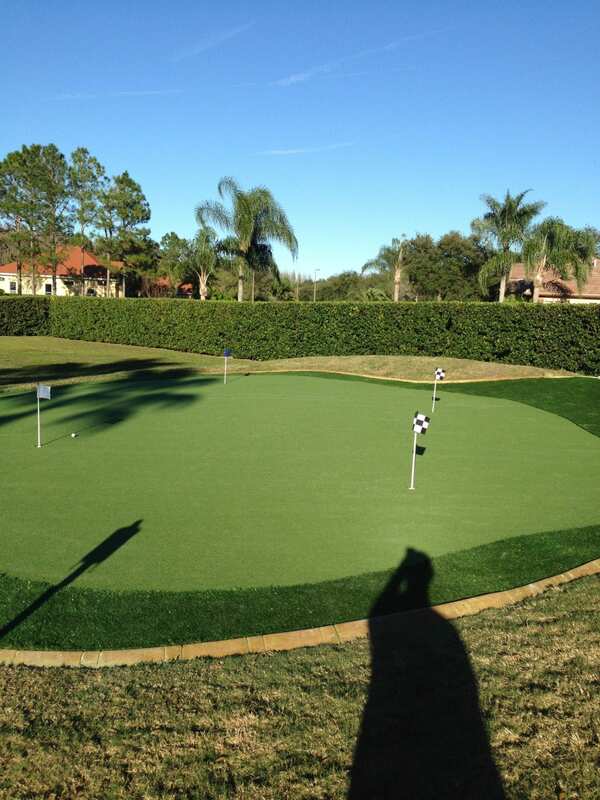 We have no regrets and feel very comfortable to recommend TURF PRO for your lawn improvement. Thank you Jeff and Jackie and the fantastic field team that completed my turf installation ! My dog is just as thankful for his new play area ! Your crew worked so hard to make my yard pure perfection ! They continued to work just as hard even through two rain storms. I am so happy with the results and will be telling all of my neighbors about you when they ask because I know they will. Again, great job and great field installation team ! Jeff and his crew did a fantastic job in our backyard! He captured my dream and made it a reality and far exceeded my expectations! Very responsible, dependable and professional. Our backyard looks like paradise! Highly recommend his work! You won't be disappointed. Jeff at Turf Pro goes Above and Beyond to make sure a client is Satisfied! 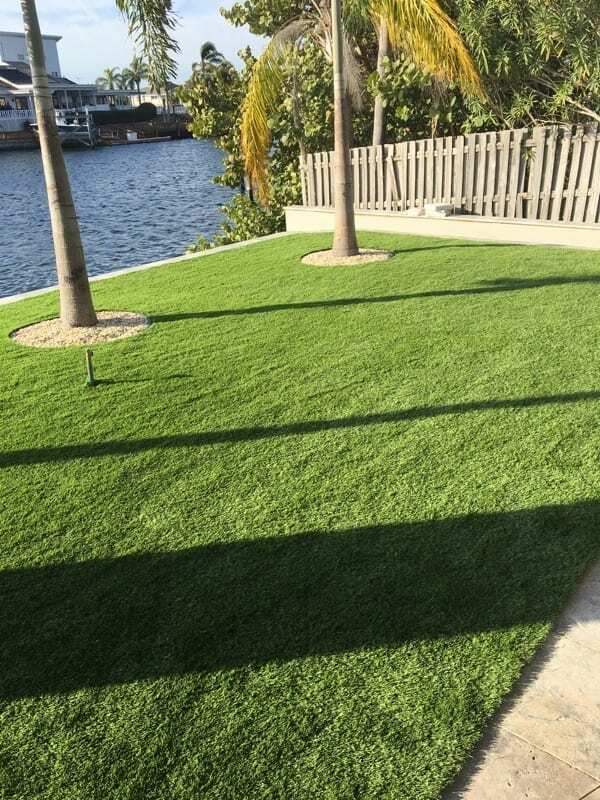 He installed my back yard turf project before the holidays as promised. His 13 years of experience in the trade shows. Thank you, Jeff & Jackie. Happy Holidays to you and your family. I just wanted to thank you for doing such a great job on my artificial turf. As you know my background is in the agricultural world and I am very aware of some of the long term effects that fertilization and pesticides can cause. 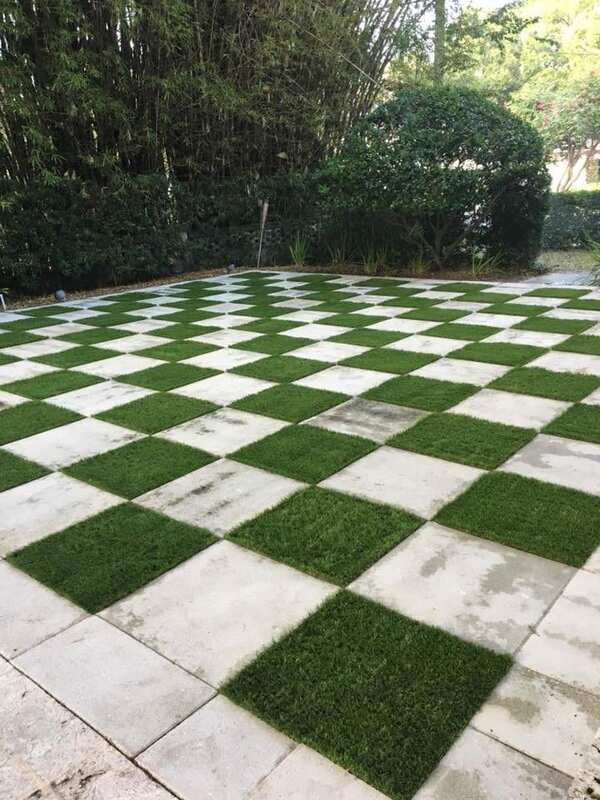 So when I made the decision to go with artificial turf over natural grass I wanted to be sure and pick a company who had the expertise and experience to be sure the job was done right. My wife and I are very happy with the level of service you and your team provided as well as the spot on follow through. The fact that the job was done on-time and exactly the way you described was a huge plus for us especially after interviewing several firms. 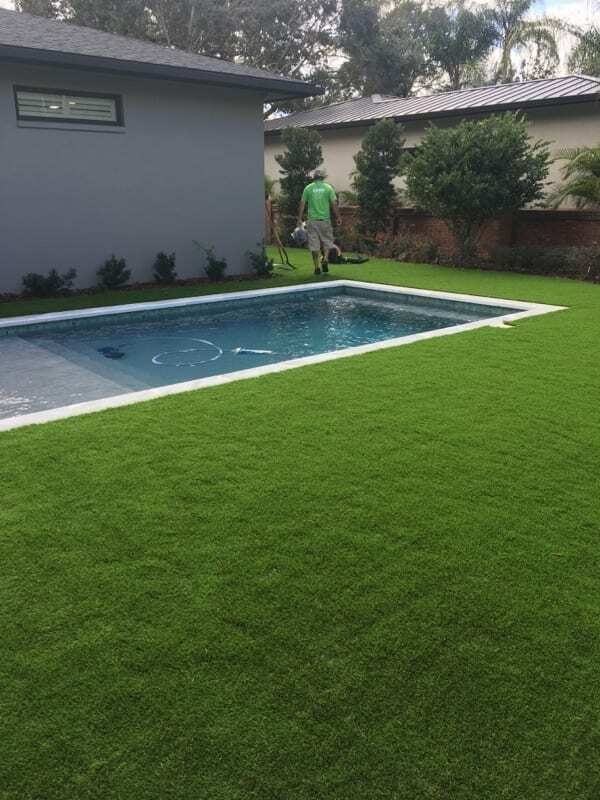 A lot of my experiences with vendors from the landscape world typically involve a lot of overpromising, all I can say is you over exceed our expectations and we would recommend you to anyone looking to have artificial turf installed. Took all our worries away! Listened to our ideas of what we would like then made some good suggestions. Was willing to take us to a nursery, but with his professionalism, we were very comfortable to let him choose what would work best for us. We had all plants/shrubs removed replaced. All bark mulch removed and replaced with small river rock and had brick pavers placed on our concrete front walkway. Priced very reasonable. I would use their services again if needed. Turf Pro Was a Great Choice For Us. Jeff is a very easy person to talk to and work with. I love the job that was done with the new landscaping (complete overhaul of the front, with new palm trees and waterfall), and quite frankly, the price was very reasonable for the work that was done. I would highly recommend Jeff and Turf Pro for your next yard/lawn project. Also, it's worthy to note that Jeff does awesome work with stone, and he has built some very nice pieces such as custom spa enclosures and things like that. We've seen samples of the work and it is very impressive!!! Thanks for the great work, Turf Pro!! 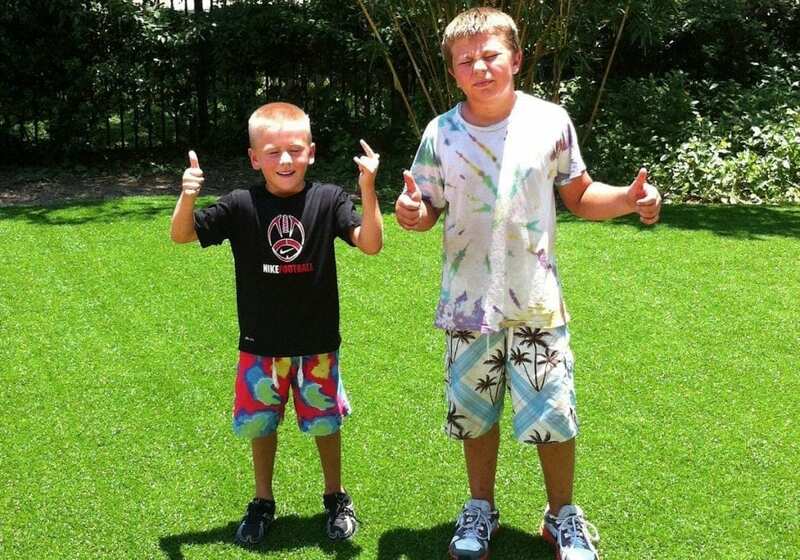 Testimonials from our clients whom say that Turf Pro is the best installer of artificial grass in all of Florida. Call us today to find out why our clients love us and our work!